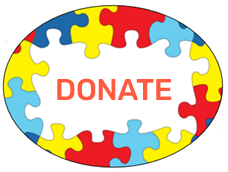 Autism Society Acadiana offers many programs, events, fundraisers, and committees that rely upon volunteers to help reach families. We truly do need your help to continue providing the information, resources, and support to so many families in the 7 parishes we serve. If you have talents or a desire to assist us, please contact Rhonda Allen at 337-235-4425 or fill out the volunteer form below and submit it electronically. We will contact you for our next volunteer event. We value any volunteer willing to help us at any age. Thanks in advance for your willingness to give back to this community. Please feel free to share any program ideas you have with us as well.